I don’t often review non-fiction, but this biography of Eugenie Clark has all the elements of a great fiction picture book. It’s so interesting I had to share! 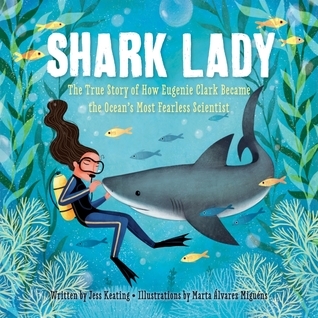 Shark Lady: The True Story of How Eugenie Clark Became the Ocean’s Most Fearless Scientist, written by Jess Keating and illustrated by Marta Alvarez Miguens, was published in 2017 by SourceBooks Inc. I was compelled to read this book several times, because I was so awe of the design and execution. This has everything you’d want in a picture book biography – it’s engaging for kids, has just enough sensory detail to bring the story alive, and it captures a really interesting part of Eugenie’s life close up. The illustrations are so inviting – they go perfectly with the text! I also enjoyed the way there were more interesting facts about Eugenie’s research at the back, as well as a timeline to explore. If I were writing picture book biographies, this would definitely be one of my top choices for a mentor text. Sharks alone are enough to grab the interest of some students, but I was thrilled to see how well this book showcases the work and dreams of a female shark scientist. What a great role model for students! I loved how, even though the illustrations show the time period through the details and settings, they are done in a modern style with bright colors. This is not a definitely not a dry non-fiction story that will be left on the shelf. Students will love this, and hopefully be inspired to learn more about the animals or things that they are passionate about. Brainstorm: If you were going to be a scientist, what creature or animal would you like to learn more about? Explain why! Question: Draw a picture of your favorite sea creature. What do you already know about it? What don’t you know? Write one question you would like to answer. Draw: What would you find if you could explore the ocean? Use your imagination. Choose bright paints or crayons and create your own undersea illustration. My kindergarten students loved this story! I thought it might be too simple an idea but it generated a surprising amount of discussion. It’s also a great mentor text for picture book writers. Knock, knock. Who’s there? A BEAR! A furry, friendly PERSISTENT bear. And no matter how many times a particular little boy tries to tell him that bears don’t belong in houses, he keeps coming back—until, one day, he doesn’t. Only then does the boy realize how much he cares about the bear . . . and misses him. Can he find his friend again? A funny, surprising story about two unexpected pals. 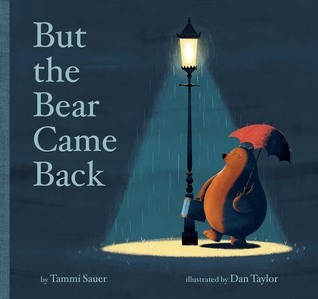 But the Bear Came Back was written by Tammi Sauer, illustrated by Dan Taylor and published by Sterling in 2018. 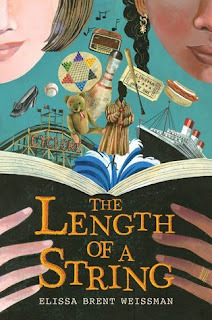 This story is an excellent mentor text for writers. The structure is clear—the boy has a problem (that keeps coming back). The writing style is modern and spare, but humorous. There’s a warm and satisfying ending, too. It’s a complete story on its own, but so much more when paired with the illustrations. 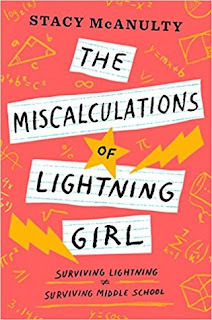 I loved the expressions on the character’s faces and the signs and messages that contributed to creating a fully developed reading experience. My students enjoyed predicting what might happen next…would the bear come back again? We discussed what it might be like to have a friend that keeps wanting to play when you’re not feeling up to it. 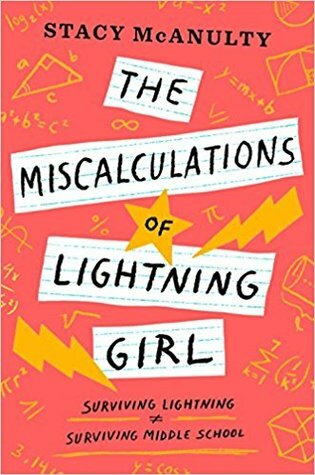 It’s a nice book for introducing discussions about the ups and downs of friendship, and also the idea of being patient sometimes. My students asked me to re-read this book several times, so I’m planning to purchase it for my classroom (the copy I read was from a local library). Write: What do you the bear’s home is like? Describe what might happen if the boy visited the bear. Brainstorm: What words could you use to say to a friend that keeps coming back, even when you say no? Draw: What do you think the boy and the bear will do on their next adventure? Draw a picture to show your idea. For a behind the scenes look at Dan Taylor's illustrations, courtesy of The Bright Agency go here.